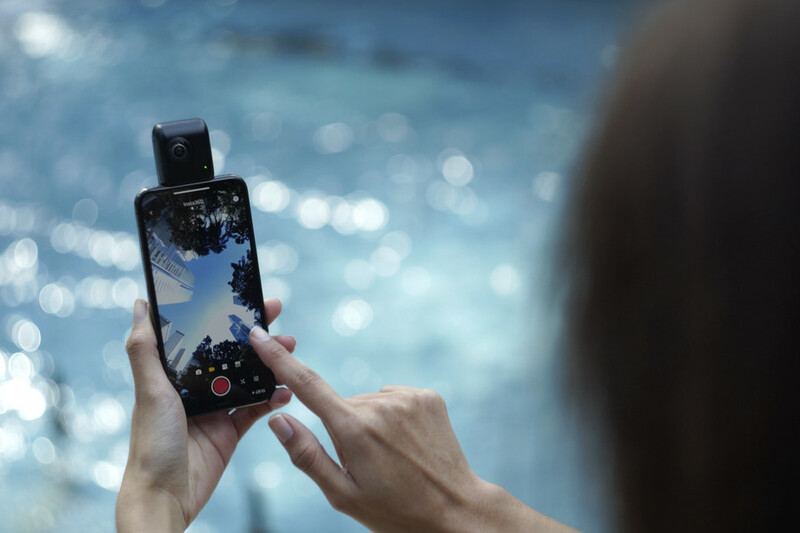 Insta360 has revealed an upgraded version of its 360-degree Nano camera that attaches to iPhones, called the Nano S. The big change here is an upgrade to 4K video recording and 20MP stills. The Nano S has the same physical form as its predecessor and connects to your iPhone’s Lightning port. Once you’ve recorded something, users can edit the 360-degree videos and photos for sharing through Insta360’s Nano S app. There’s integrated support for 360-degree live-streaming on YouTube, Facebook, and Twitter (through Periscope). For other social media platforms like Snapchat, Whatsapp, and Instagram, the Nano S is able to convert 360-degree content into more publishable forms like customizable pan-arounds. 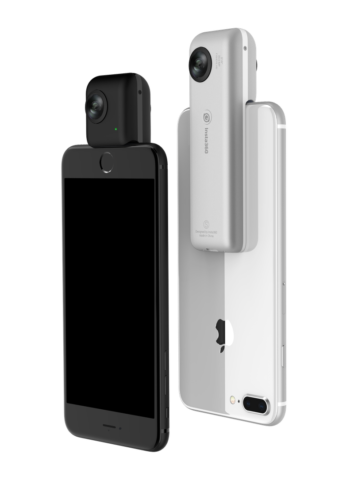 The camera converts the iPhone into a real-time 360-degree camera viewfinder. The Nano S syncs with the iPhone’s gyroscope, but can also be used on its own. The device also allows users to reframe the best parts of their 360-degree video in a standard rectangular frame after shooting. 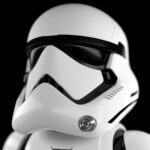 Users can go back and select the particular shots by maneuvering their phone in real time to explore the 360-degree clip. There are also new features including a 360-degree video chat and a MultiView function that allows users to show different angles of a scene at the same time through live broadcast or chat. Users can also make 360-degree video calls to anyone, even if the person being called doesn’t have a Nano S camera. To place one, you just generate a link in the Nano S app and send it to the person you want to call. When they open the link, they’ll be able to see a 360-degree view of your environment. The Nano S is $239, comes in black or silver, and is available from the Insta360 store and Amazon globally. The camera is reasonably priced, given that other 360-degree cameras like the Samsung Gear costs $230, while the more sturdy 360-degree camera from GoPro, called Fusion, is $699.